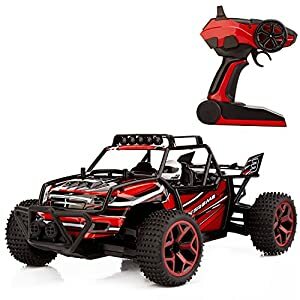 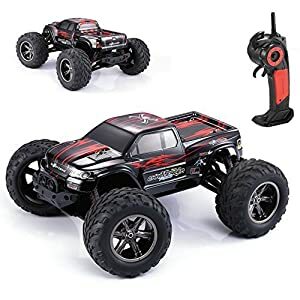 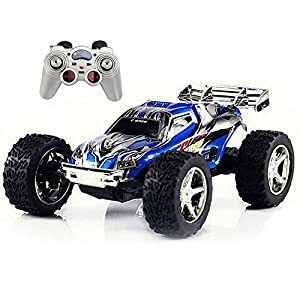 Full Function Radio Controlled Forward, Reverse, Stop, Left & Right Adjustable Front Wheel Alignment All Independent Spring Suspension System Detailed Interior / Exterior Rims & Tires Glossy Exterior Paint, Speed: 8-10 mph Scale: 1:14, Remote Distance: 30 ft Factory Assembled Ready to Run. 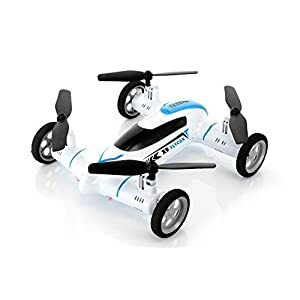 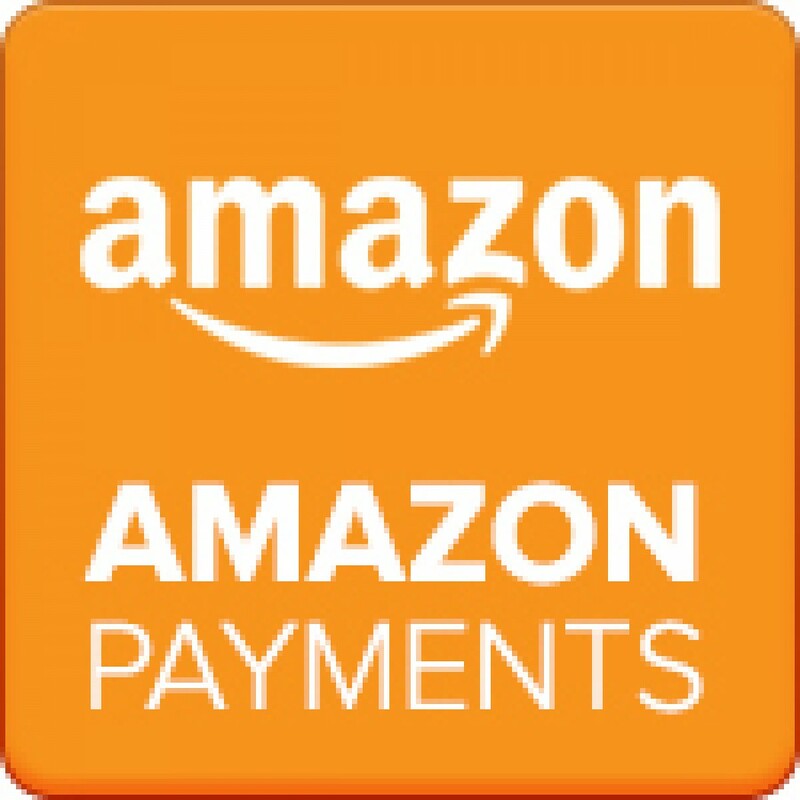 5X AA Batteries (Not Included) and 1 9V Battery required (Not included). 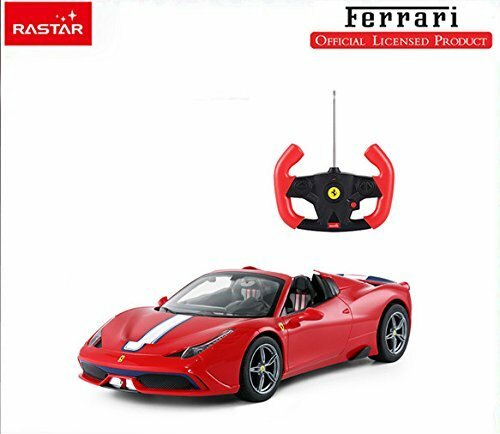 Packaging include: Car, 1 Remote Control, 1 User Manual. 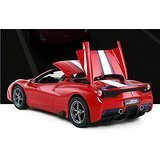 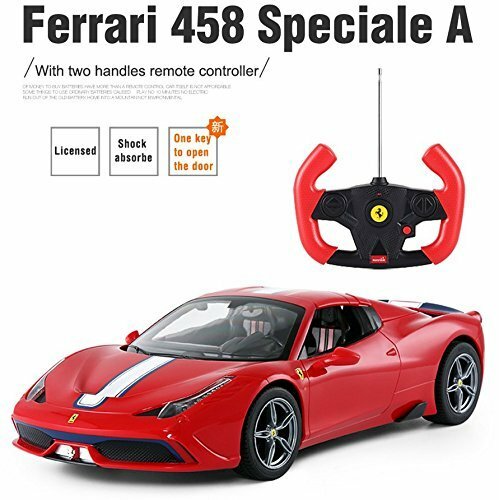 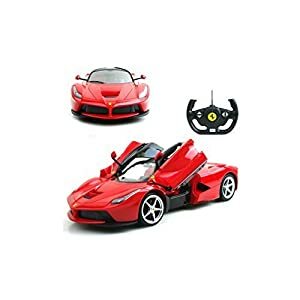 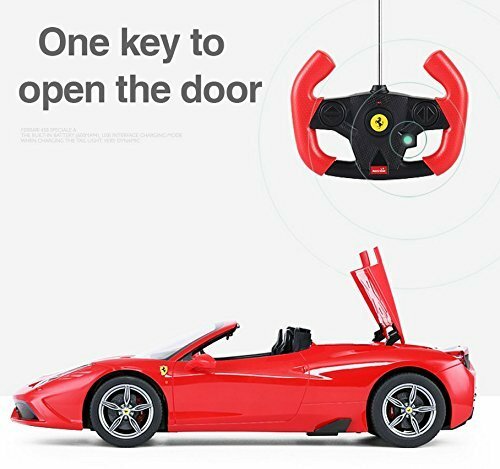 Be the first to review “1/14 Scale Ferrari 458 Speciale A Radio Remote Control Model Car R/C RTR Auto Open & Close Roof Convertible Push Button” Click here to cancel reply.